Mörrum-Elleholms parish church has a new altar with some impressive artwork in a gilded frame. The churches in Sweden are light and colourful. 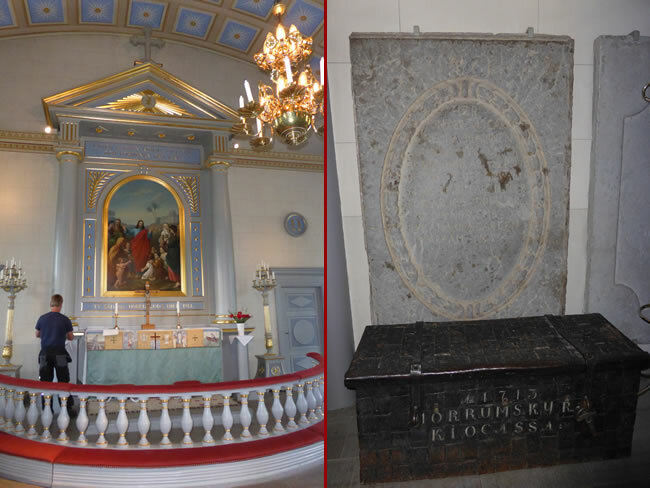 On the right, you see one of the ancient memorial stones and carved wooden chest dated 1713 that were important artifacts brought here from the previous church.